Designing a home going program for a loved one can be difficult and emotional. Let us help you in your time of need! We offer high quality memorial programs and products. 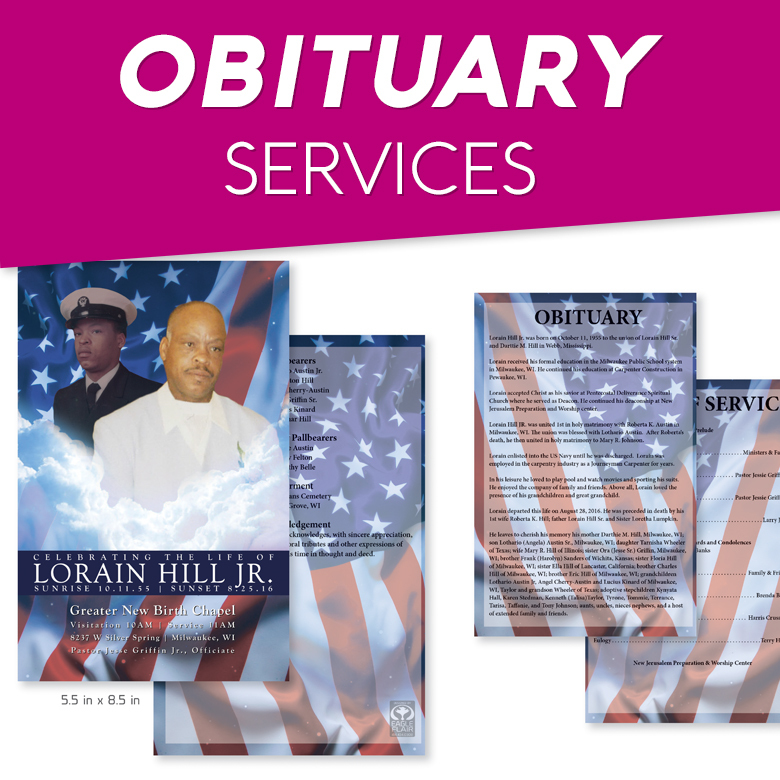 Whether you need a memorial program, thank you card, bookmark, poster, or button, they are created specifically for your loved one at an affordable price.